On her office phone, Jazmin dials the number of the next health insurance agency on her list. The list contains agencies that have been avoiding payment to the home health aid company she works for. When they say they never received a bill, Jazmin, a billing manager, sternly replies, “I have proof you got it. I [have records of] everything.” She waits for the words, “Alright. We’ll get it to you,” before exultantly ending the call. So when a friend approached her about five years ago and asked if she’d be interested in leading worship for kids and teaching a kindergarten class during weekend services at Grace Kids, her knee-jerk reaction was to laugh inside. “I’m more like [the type to] work in an ER department, not teach four, five and six year olds!” she says. She wasn’t sure how well she would do in a teaching role at Grace Kids, but in typical Jazmin fashion, she took on the challenge with vigor. To her surprise, her strong leadership skills and drive would end up being a big asset to the team. 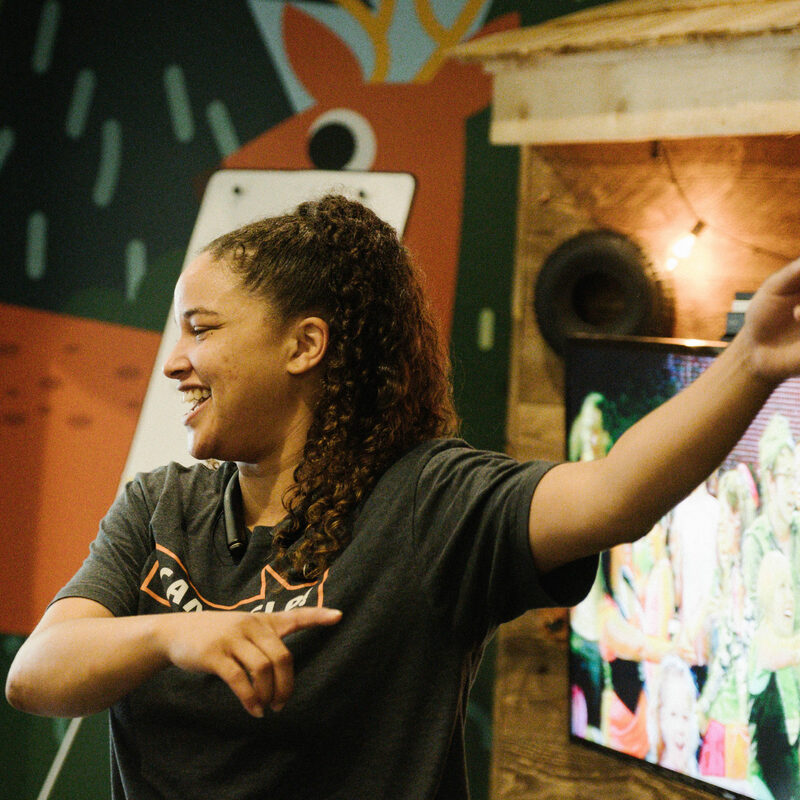 It turns out, she was adept at helping other team members stay focused and motivated, and her high-energy personality came in handy in a room full of excited children. “I just kind of fell in love with it,” says Jazmin. Today, Jazmin is now part of the worship team that leads worship in the auditorium during weekend services, as well. It is a dream come true for someone who had long wanted to be a part of the team and has sung her whole life, but she makes it clear that her passion still lies strongest with Grace Kids. While she maintains a healthy balance between the two areas of her life, she says that even in a hypothetical scenario, she would never step back from Grace Kids for the sake of the worship team. Interested in learning about our different service teams at Grace Church? Check out our list of teams here to get more information about them!